Posted on December 07, 2011 at 4:58:03 am by Lauren C.
Experience the romance and spirit of the holidays in an unforgettable evening of music, laughter and memories in a historic venue. Five-time Platinum-selling pianist and songwriter, Jim Brickman, with his special guests, will perform in Fort Wayne ­on Monday, December 12th at the Embassy Theatre. Brickman&apos;s A Christmas Celebration will entertain patrons with his dazzling solo piano, vibrant vocals, and warmth and humor that has been synonymous with Christmas for the past fifteen years. Patrons are in for a special treat, as Brickman will perform music from his newest albums All is Calm and Romanza. He will be joined on stage with his special guests, singers Anne Cochran and Benjamin Utecht, plus electric violinist Tracy Silverman. 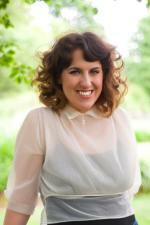 These artists will blend fan favorites and seasonal classics with brand-new Brickman compositions. Thousands of audience members return year after year for the joy and spirit of Jim Brickman’s Christmas concerts. “When you imagine Christmas and the days leading up to the big morning, chances are holiday music is the soundtrack in your mind.” Brickman says in a statement. “My favorite music of all time is written for the holiday season. How fitting that throughout the season of celebrating peace on Earth and goodwill to all men, we will be spreading the cheer through music.” Ticket prices are $65 (includes an after-concert meet & greet), $45, $35 and $25. Tickets can be purchased at the Embassy box office, at Ticketmaster locations, charge-by-phone at 1-800-745-3000 and online at Ticketmaster.com. 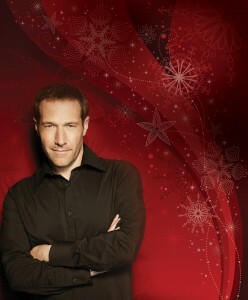 For more information about Jim Brickman’s national tour, visit www.jimbrickman.com.